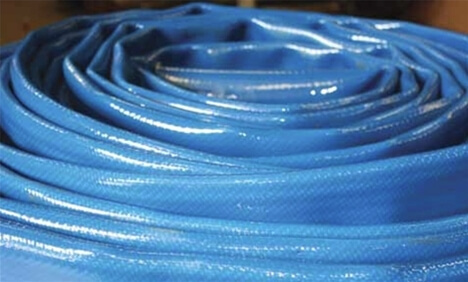 Taiga large diameter hoses are heavy-duty, industrial grade fire hoses for extreme situations where maximum flow is necessary to overcome hazards, or to conduct water transfer whenever high volume and pressure are required. 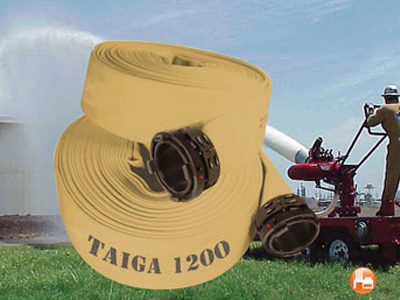 Taiga large diameter hoses are heavy-duty, industrial grade fire hoses for extreme situations where maximum flow is necessary to overcome hazards, or to conduct water transfer whenever high volume and pressure are required. Manufactured exclusively for Williams Fire & Hazard Control in cooperation with Niedner to the specifications based on Williams vast experience in industrial fire fighting and hazard mitigation, these hoses are constructed with a circular woven double-jacket of 100% virgin polyester yarn. The outside jacket is treated with ENCAP™ elastomer, which completely encapsulates the jacket fibers and not merely surface coat the jacket, to provide superior durability, resistance to abrasion and chemicals, and reduction in water absorption up to 40%. The inner lining uses extruded thermoplastic polyurethane (TPU) for enhanced flexibility and compactness, and resistance to ozone and aging. The Taiga 1200 is rated as a Super Large Diameter Hose (SLDH) and the Taiga 600 as a Large Diameter Hose (LDH) with a best-in-class 200 psi (13.8 bars) service test pressure. Providing maximum safety unmatched by competition, these hoses were designed to withstand a minimum of 600 psi (41.3 bars) pressure before bursting. 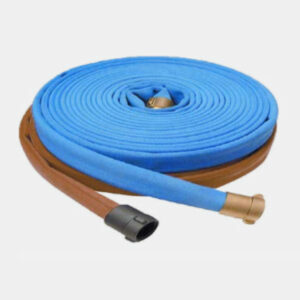 These hoses meet or exceed NFPA 1961 specifications. The Taiga 1200 hose comes standard with a unique four-lug Storz coupling designed and manufactured by Williams Fire & Hazard Control. These couplings are easy to couple and separate and tolerant to dirt and other small particles in the field. The Taiga 600 hose comes standard with the regular Storz couplings. Taiga is a Japanese word meaning “Big River” to honor of the first commercial users. Exclusively through Williams Fire & Hazard Control, these hoses are available in various lengths up to 500 ft (152 m). Available colors include beige-tan, yellow, purple, blue, orange, red, green and white.